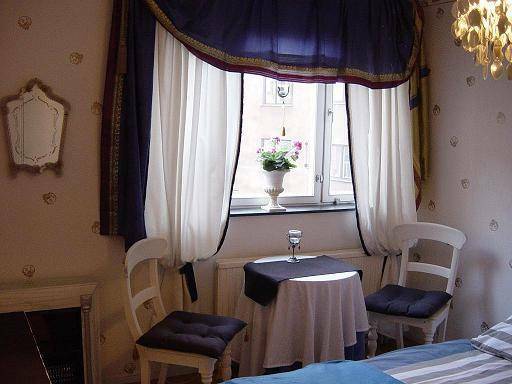 Overnight rooms for rent for 1-4 people, maximum of two beds in each room with a very attractive and central location in downtown Stockholm. One room has a double bed (160). One room has two single beds (2 x 80). Bathrooms are shared with the landlord. Access to a refrigerator, tea and coffee making facilities. Payment is cash upon arrival. Always contact your landlord regarding availability before you book a room. Overnight rooms for rent with very attractive and central location in downtown Stockholm for 1-4 people, maximum of two beds in each room. One room has a double bed (160). One room has two single beds (2 x 80). Separate toilet. Bathrooms are shared with the landlord. Separate toilet. Bathrooms are shared with the landlord. Access to a refrigerator, tea and coffee making facilities. Contact the advertiser about availability by email. Payment is cash upon arrival. Very centrally located in Stockholm, Östermalm. Close to Central Station, Central Station. Next to Subway No 14, Bus No. 1 and No. 4.